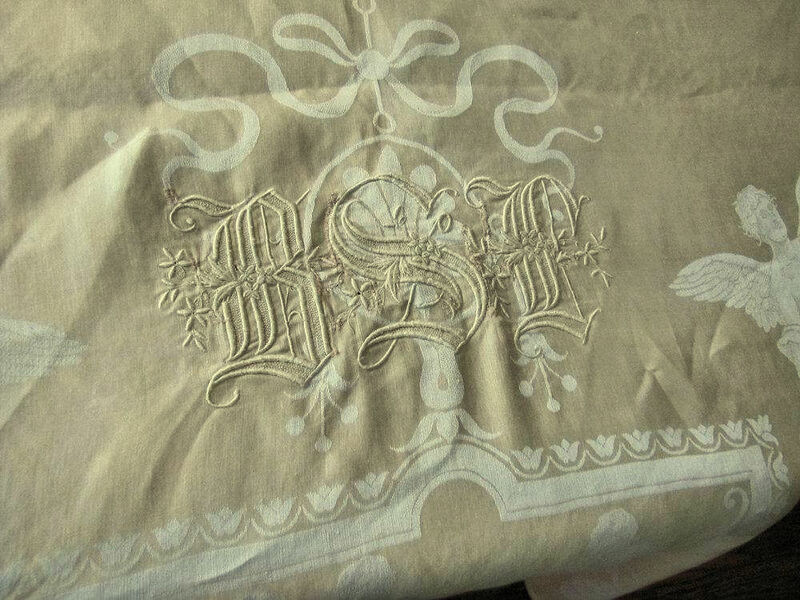 1 Tablecloth -- 60" by 88"
Two 3 1/2" by 9" Monograms -- Old English B, S, & Illegible But Possibly I, T, F or ? 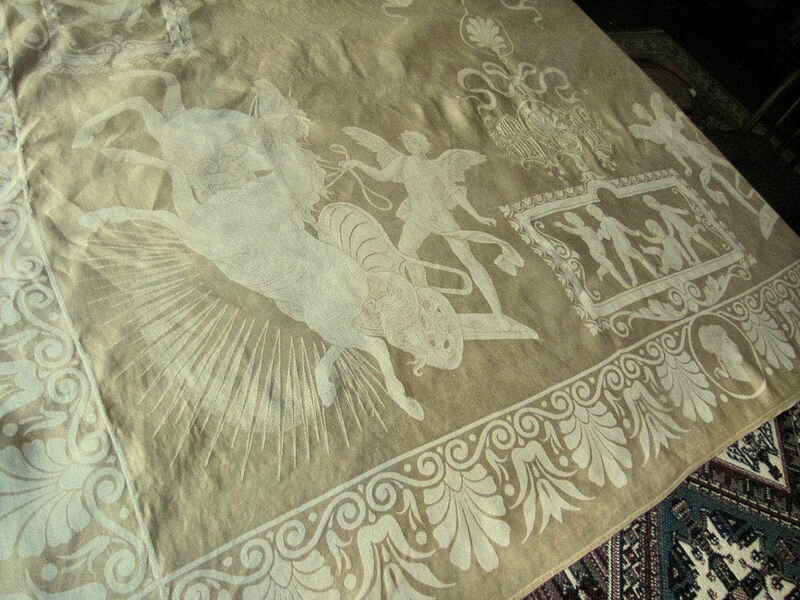 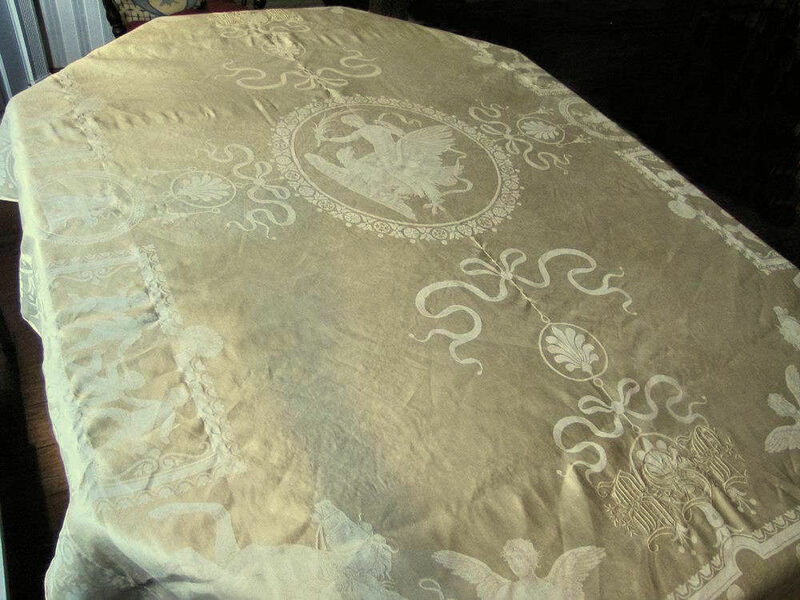 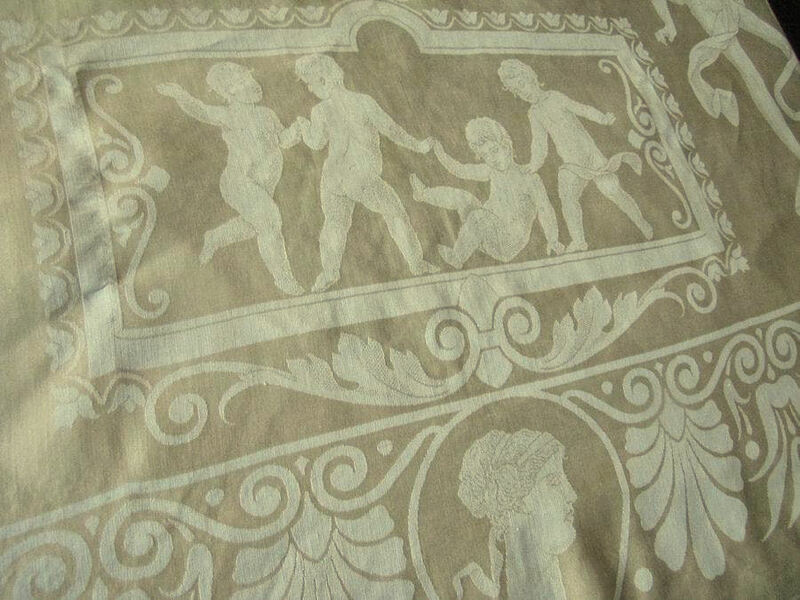 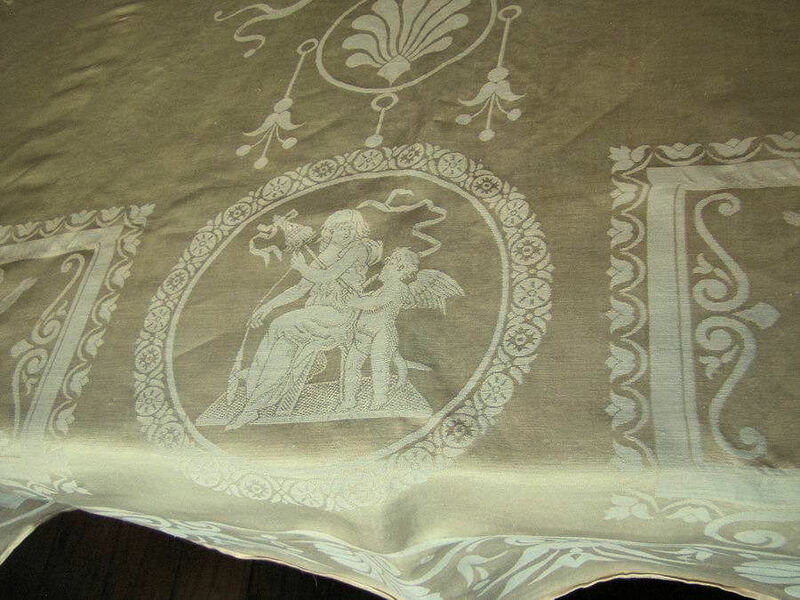 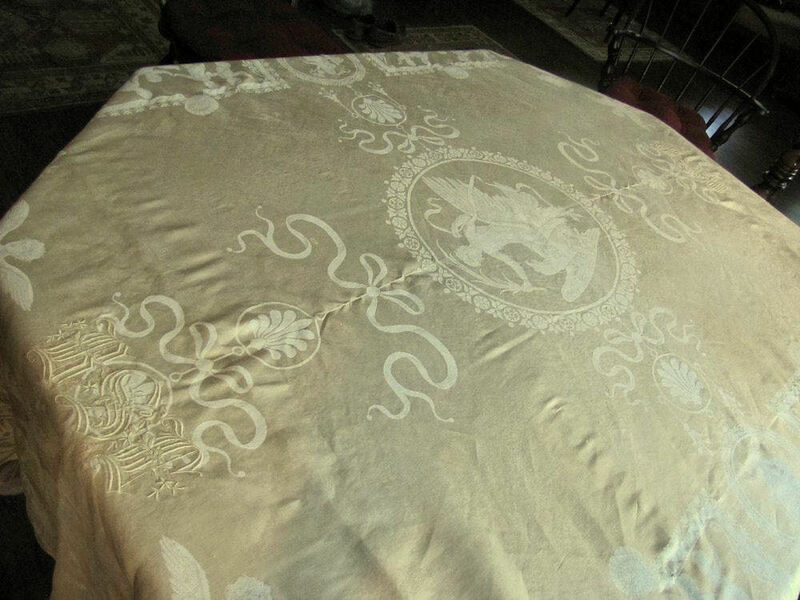 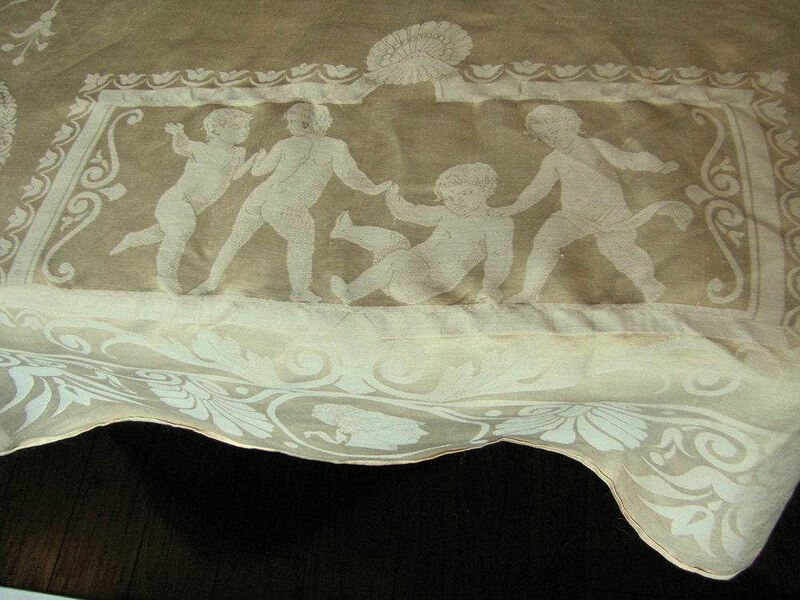 Lived with and loved; this tablecloth has been stored for quite a while and you will wish to have it professionally cleaned before using as there are some spots and shadings (see photos); it is antique and a little thin; as shown in the photos, there is one 1/2" mend and some reenforcing? 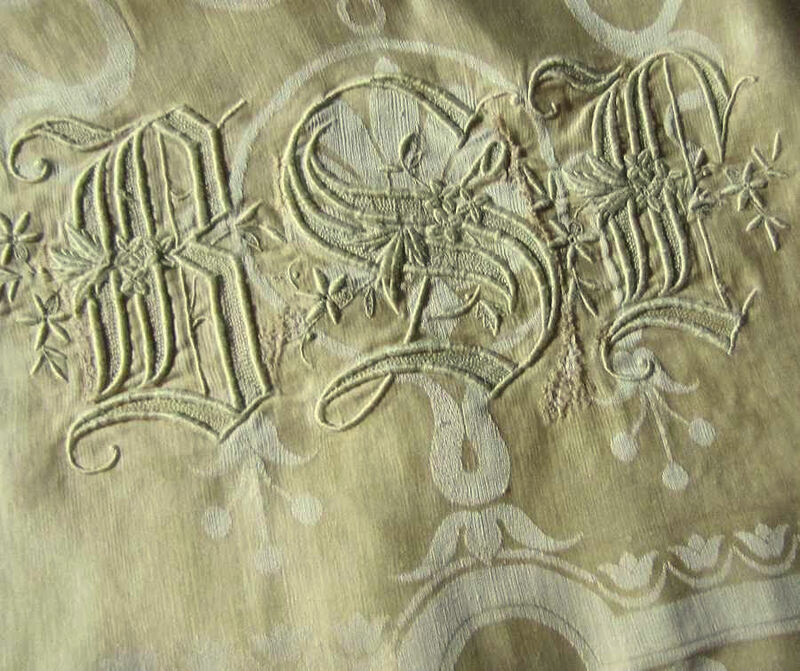 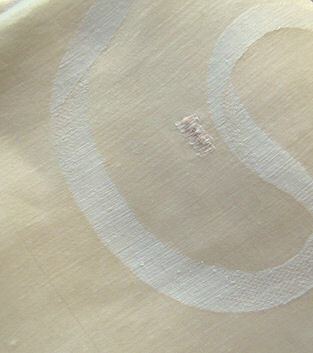 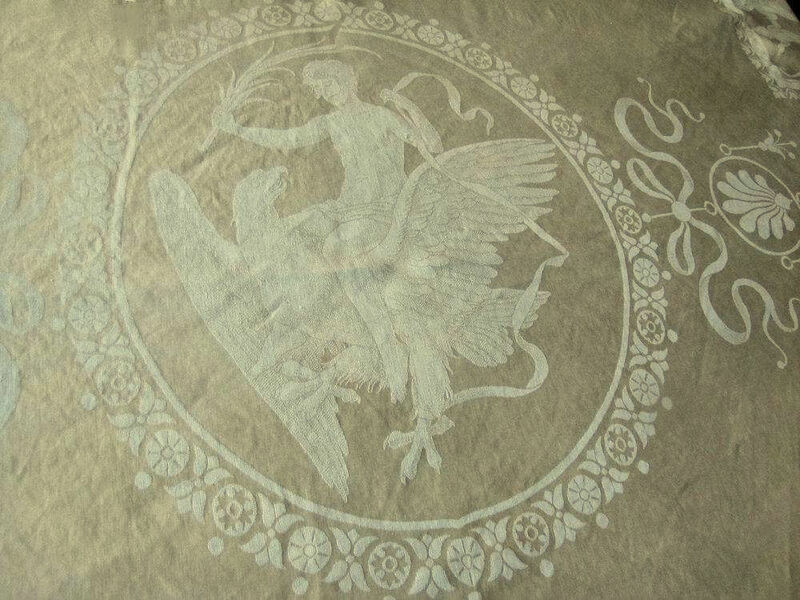 stitching shows within each monogram.